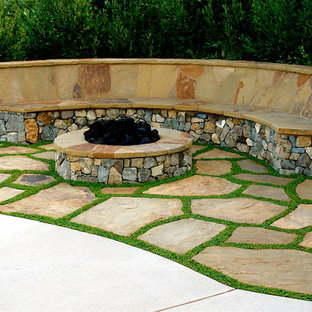 Nice fire pit with bench. 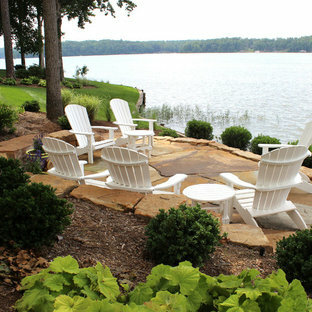 Flagstone seat and back rest. 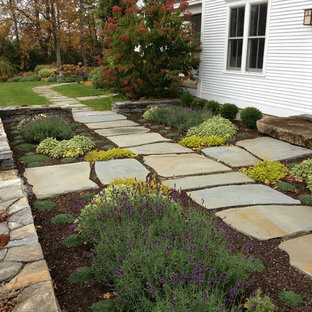 Flagstone steppers with ground cover growing between. 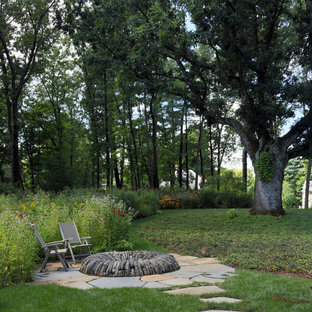 This is an example of a contemporary stone landscaping in Boston. 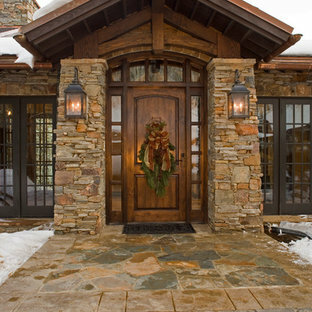 Inspiration for a mid-sized traditional front yard stone landscaping in Santa Barbara. Photo of a large farmhouse full sun backyard stone landscaping in Burlington. 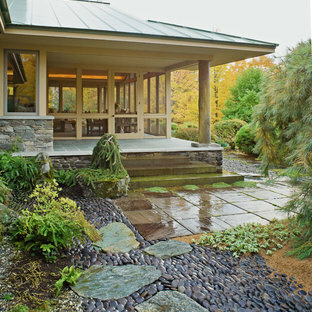 Architect: Sarah Susanka, AIA Photography: Jim Westphalen Integration of Prairie-style architecture and Japanese garden. Palette of patterned and textures borrowed from the surroundings. 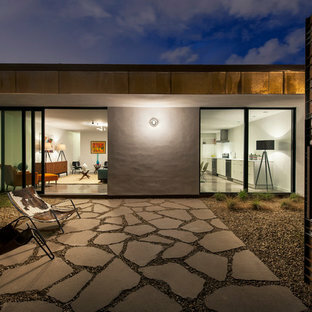 Sequence of places makes a continuous necklace around the home. 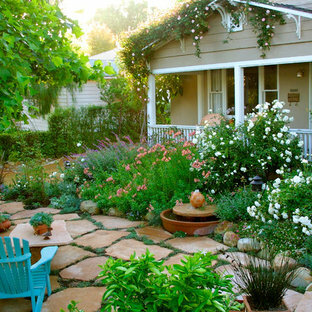 This is an example of a traditional side yard landscaping in Santa Barbara. 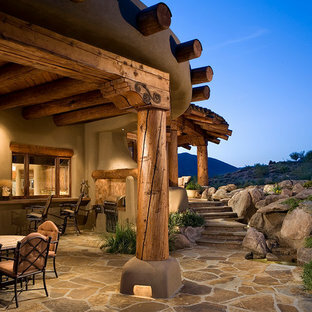 Inspiration for a mediterranean courtyard stone landscaping in DC Metro.